The Quaker Ridge Shawlette pattern is now available for purchase at a discounted price in my Ravelry Pattern Shop. Please note that this pattern is also available to non-members of Ravelry and to approved Ravelry Local Yarn Shops for wholesale. Click here to see more and/or to purchase the pattern for the Quaker Ridge Shawlette! The price is now $4.00 per pattern from now until Sept. 9th, 2012. Starting Sept. 10th, 2012, the price will go up to $5.00. The official Quaker Ridge Shawlette Knitalong sign-up and thread is now open on the Itty-Bitty Knits group. Sign-ups will close on Sept. 8th at 12 midnight, Central Time. Click here to sign-up for the knitalong and/or to see the information and thread! 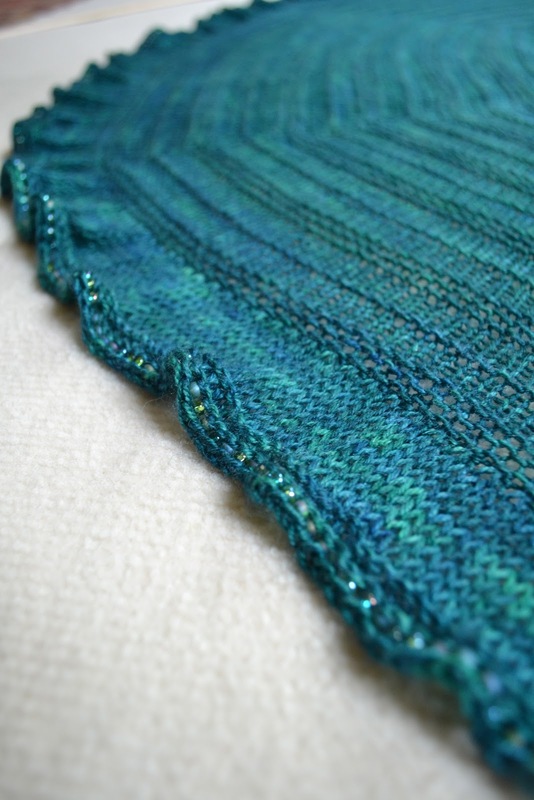 The Quaker Ridge Shawlette Knitalong will run from Sunday, Sept. 9th, 2012 through Sunday, Oct. 21st, 2012. For those who finish a shawlette, and post a photo by Oct. 21st, you will be automatically entered in the drawings to win some fantastic giveaway prizes! More information will be coming soon but for now you can purchase the pattern and start gathering your materials. By the way, I want to include everyone who wants to participate so although it is best to be a member of Ravelry and join in on the knitalong thread, if you don't belong to Ravelry and want to join, please let me know. Love your blog, patterns, and sharing family. Although, I dreamed I was visiting you at your home. A little too much blog reading, do you think? I don't know how you get everything accomplished. I admire that. OMGosh, I'm tempted, tempted, tempted! Accck! Cha-ching! It's in my library now. Yay! So excited about this pattern! I have my Sunshine Yarn all ready to go. Thanks! Thank you so much for making this pattern print black as far to many patterns are grey and hard to read.